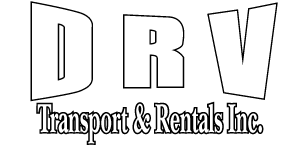 DRV Transport & Rentals Inc. handles all your rental and transport needs. DRV has Texas beds, winch tractors, highboys and lowboys, pilot cars and hot shot service to help you move your equipment in a safe and timely manner. Among the rentals DRV offers are matting, light towers, generators, 400 BBL tanks, frac manifolds, pipe racks, trash pumps, floc tanks, shale bins, flare tanks, flowback tanks, fuel skids, and office/well site trailers. Privately owned and operated, DRV has 30 years of experience in the oil and gas industry. DRV Transport & Rentals helps your business adapt quickly to market demands and production deadlines. Visit Investing.com for up-to-date information on crude oil futures and call DRV Transport & Rentals for affordable solutions to the challenges of your oilfield business.